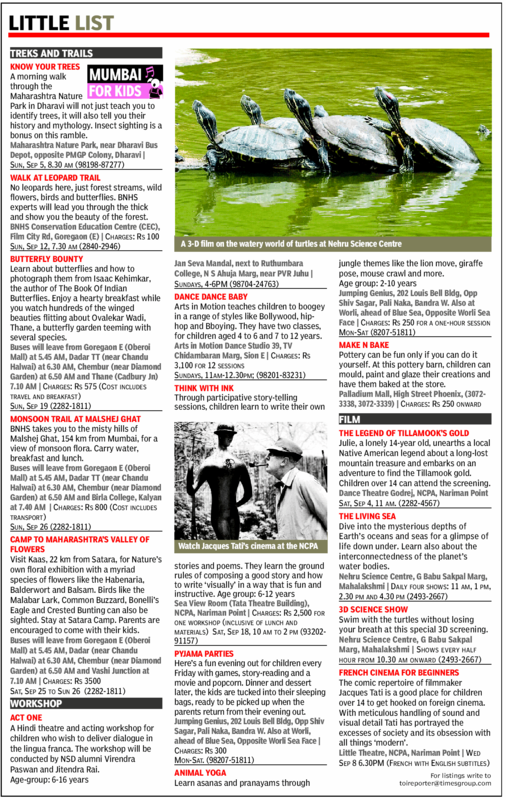 In continuation of postings related to Mumbai for Kids articles in Times of India (Mumbai edition) here is last week’s one on Treks, Workshops and Film related activities for children in Mumbai. This entry was tagged Mumbai Children activities. Bookmark the permalink. May I know this year you guys are organizing any workshop or summer camp for kids?